Because it all depends on your objectivity! Leave all your preconceived notions well behind. Can you peer into it’s depths, and know it’s sanctioned core? Appearances of the outside, can they be ignored? They can be disguised by fear, anger, and might. For you cannot possibly know it by just a passing glance. Author Wolvesbelong.comPosted on February 3, 2019 Categories Home, Poetry And StoriesTags activism, ecosystem, poetry, publishing, Wilderness, Wolves, writingLeave a comment on LOOK INSIDE! It was the night. A time when nature turns down it’s volume, and peace lingers on cooled and windswept vistas. It was a time when the wolf could take stock of his days endeavors, and of his family’s role played out in perfect unison. The days hunt was successful and all the young pups lay sleeping in a soft and warm den made by their mother. The alpha, a strong, resilient and admired leader watches over his pack with pride and love. His mate lays close by his side in hushed and contented slumber. This pack lives each day to continue the circle of life given by the great one. They do not take what is not theirs for the taking. They do not act glutenous, imbibing in kill to waste. They feed their family and take no more. The wolf gives back to the forest, fosters health in their prey, and gives thanks in the howl understood only by his kind and perhaps the moon. But, in spite of all the good that the wolf is to each other and to the ecosystem of the wilderness, he is persecuted for being noble. Hated for having stealth, and killed for what he is capable of, but shows much restraint from doing. He ventures into forbidden territory as an action necessary to ensure his family’s survival and only does so rarely. Yet for living a life of simplicity, he is hunted down, forced to watch as members of his family are viciously and unethically trapped, snared, and murdered in droves. He must run for his life daily, and why? Because man in his infamous ignorance will not be bothered by the small concessions it would take to oversee harmonious coexistence and compliance with natures code, to live and let live. Coupled by man’s failure to possess the tenacity to seek out proven science that could be beneficial in his rush to judgement. Man is lazy, looking for quick albeit, haphazard cures to what ails him. Man cannot be bothered to guard his stock, keeping them on safe soil, allowing it not to stray into the wolf’s sanctuary. Man remains steadfast in his pretentious and illogical quest to rid the world of an apex predator whose whole existence ensures balance to the realm that man in his infancy cannot hope to comprehend. So, tonight as the weary alpha shoulders the weight of his packs survival he wonders at what length must he go- to ensure safe passage for he and his pack. Tomorrow, the wolf will begin anew in his quest to feed and commune with the forest’s forces. Being ever mindful that death awaits his every step, and his only chance at survival resides in the hearts and actions of those advocates who remain bonded at his side through knowledge of biology and science. Through their relentless efforts, forever teaching others to see the wolf as he is, not what shortsighted naysayers say he is. This and the advocates ability to love something other than themselves, making the world see how senseless and harmful the uneducated heathen is to the wolf’s perpetuation and survival. As my headlights hold his steady gaze, I cannot yet make out its kind. Soon, it pounces effortlessly, remarkably without a sound. He appears as large as a St. Bernard! And remains 10 feet away, perched upon a rock, as he watches me with a strange regard. But the creature calls my attention, by way of his steady gaze! I want to reach out, but afraid to leave my car, not just me alone, only! At this unsuspected action, my heart begins to knock! I was mesmerized by his grandeur and gentleness, so it seemed. When this wolf leaps with such stellar and stealth! But just as calmness seemed to take me, the wolf took his leave! Hopefully to soothe our fears, and bring us both some calm relief. He whined quietly, then moved closer to my car’s side. He howled then with longing, or so I did decide! But fear kept me inside my walls, so I spoke to him instead! I felt such pain in my heart, wondering why his eyes held such sorrow. However, the wolf seemed to plead with me, begging me to stay. For my encounter with this iconic predator, only brought me peace. And the indelible mark upon my heart, inscribed when my eyes met his! Welcome to WRITING WRONGS ONE WOLF AT A TIME. anner at the bottom of the page. My name is Karen LaFountain, throughout my life I have been a writer of poetry and stories. My craft has always been a form of catharsis for my love of and angst of the natural world, its environment, and the social ills that so greatly affect the precarious balance between. So, I would like to introduce, Wolves Belong-Words, Wisdom, And Wilderness. Karen LaFountain, throughout my life I have been a writer of poetry and stories. My craft has always been a form of catharsis for my love of and angst of the natural world, its environment, and the social ills that so greatly affect the precarious balance between. So, I would like to introduce, Wolves Belong-Words, Wisdom, And Wilderness. Hello and welcome to Writing Wrongs One Wolf At A Time! Using my craft as a writer, Iendeavor to bring awareness and understanding to the numerous activities currently underway by our state and national government and bring awareness to their ultimate goal of abolishing the Endangered Species Act, and to manipulate public opinion through propaganda with the ultimate goal of killing off the Gray wolf as a species entirely. 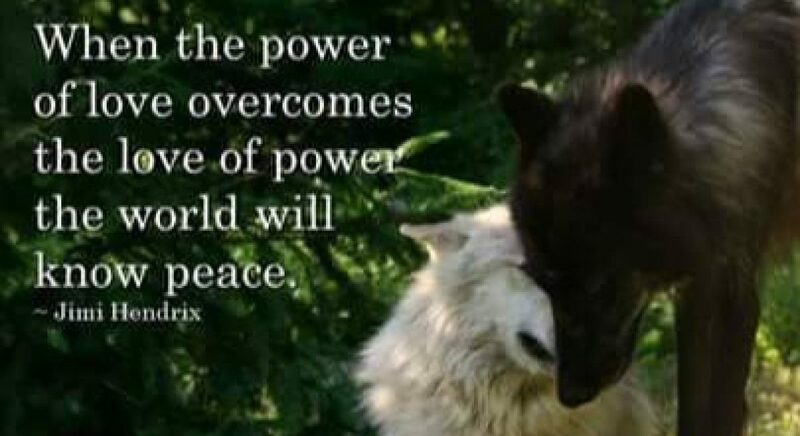 I would very much like to enlighten and hopefully change the minds of all who read my posts, promoting greater insight and tolerance of wolves, wildlife and wilderness. It is my plan to educate the public and alert them to the peril of the grey wolf, wildlife and our wilderness environment or ecosystem. I believe that the grey wolf, (canis lupus), is an iconic and prolific cornerstone apex predator, that has a very positive impact on our ecosystem. It is my goal then to present my craft and ultimately educate the public through my writings, teachings, and activism’ about how wolves, as well as other wildlife predators, are positive contribtutors to our wilderness areas. Only through positive management of the gray wolf, will their proliferation continue to benefit a healthy and diversified wilderness ecosystem. All submissions under this catagory “Writing Wrongs and Wolves Belong” are written, copywrited and the sole property of Karen LaFountain. The stories, poetry, and articles herein are written by Karen LaFountain and offered for your reading pleasure and contemplation. HE BOLDLY RAN WITH A LARGER PACK, STEALTH WAS ON HIS SIDE. THEY DID NOT QUESTION HIS AUTHORITY, THEY KNEW HE’D KEEP THEM SAFE! “HIS METHODS ARE UNETHICAL, CALCULATING, RUTHLESS AND CRUEL! “HOW DO I PROTECT MY FAMILY FROM THIS EVIL THREAT? BUT IN THE END OUR ONLY HOPE IS TO HIDE TO STAY ALIVE!